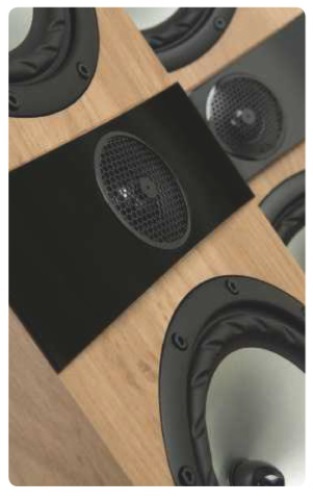 As the larger of the floorstanders in the five-strong F series, the F303 boasts two 150mm multifibre paper coned mid/bass drivers with unusually contoured Variable geometry’ roll rubber surrounds for a non-homogenous interface and a more effective barrier to the cone’s energy, leading to a cleaner, more precise sound. Sunk into a glossy black ‘head band’, the 25mm tweeter’s key parts are a polyester dome and a powerful neodymium magnet system. But integrated with the protective mesh cover is a so-called ‘phase loss compensator’, which delays output from specific areas of the dome to promote a smoother, more extended frequency response. Similar attention to detail and quality has been paid to the computer optimised (but critically fine-tuned by ear) crossover board, which uses high-grade components usually found in far more expensive designs. 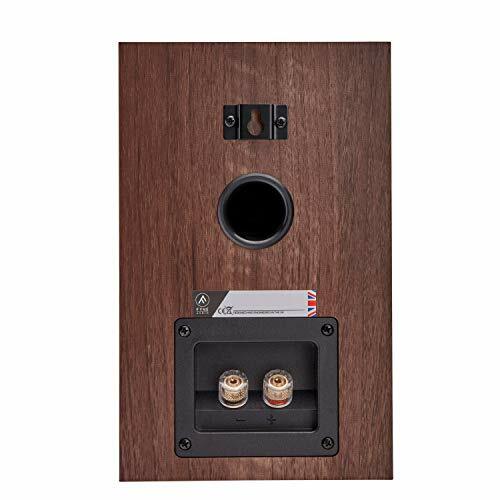 Spikes can be wound into the cabinet’s base with no critical stability issues. But for complete, wobble- proof security, plastic outriders are supplied, increasing height by a couple of inches as well as widening the footprint by a few more. 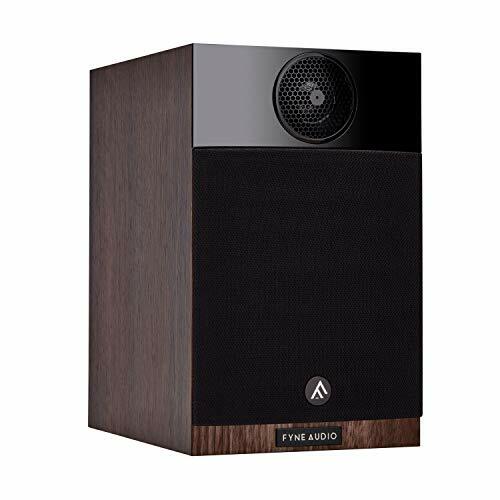 Far from the largest speaker in the group and among the lightest, the F303 is not the hardest hitter. What it does have, however, is speed and agility, a spacious and airy soundstage, snappy timing and a very smooth and even balance top to bottom. After the little DALl’s prodigious low-frequency chops, the Fyne can seem a tad lightweight. In truth, it’s just leaner than most and doesn’t seem to be pushed in the lower midrange to massage the impression of weight and body. Its bass won’t rustle the curtains, but it goes properly low and is fast, taut and articulate. These qualities are shown off to good effect with Lump’s Late To The Flight, which kicks off with a deep bass monotone drone that initially seems to be acoustically bowed but morphs to electronic followed, about 30 seconds in, by hugely dynamic and cavernous bass twangs that pulse across the listening area like a wave. Most of the other speakers in the group do this with greater visceral force, but for attack and harmonic texture, the F303 has the edge. 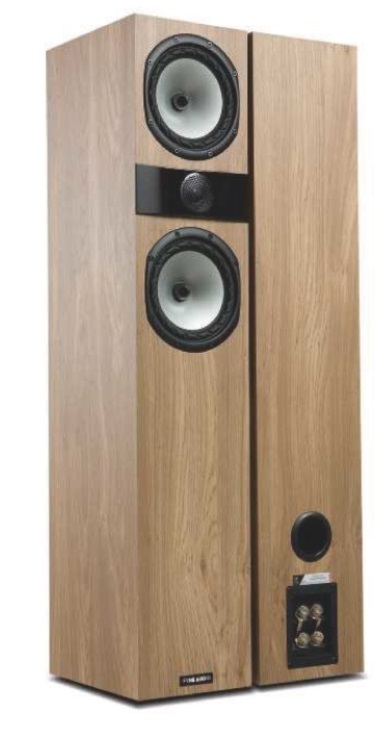 In a way, the F303 is a kind of ‘what if?’ Tannoy. That’s ‘if’ almost the entire senior management, design, engineering, sourcing and sales team hadn’t elected to leave and advance their ideas under a new Fyne Audio flag. The name might be new, but the ex-Tannoy personnel responsible for it bring with them a combined 200 years of experience in the hi-fi industry. Safe to say, the old cliche ‘hits the ground running’ has seldom seemed more apt. 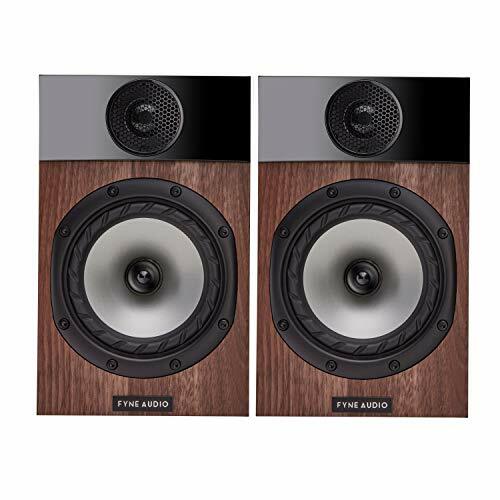 It’s probably not stretching things too far to speculate that the two model ranges Fyne Audio has launched so far suggest a design direction Tannoy might have taken had not the vast majority of the newly owned company elected to leave and advance their ideas under a new flag. Let’s put it this way: Fyne Audio’s head of design and engineering. Dr Paul Mills, was responsible for the way the last 30-years’ worth of Tannoy loudspeakers turned out.